Last year, I reviewed LEGO Heavy Weapons from NoStarch Press. 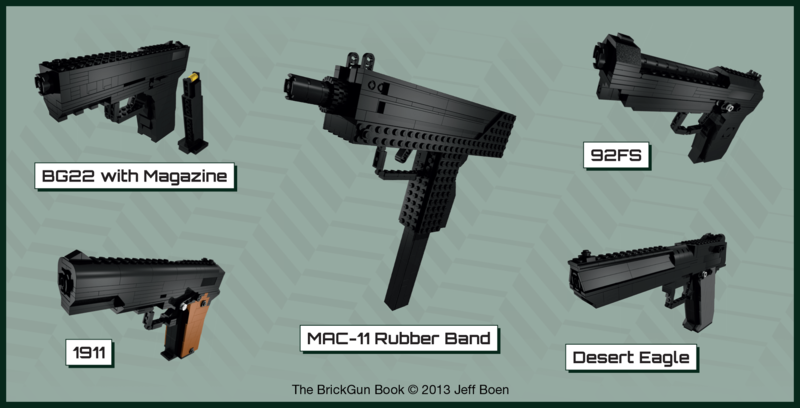 A year later, they have followed up their book of realistic looking machine guns with smaller fare with The BrickGun Book, a book teaching how to build realistic looking handguns from LEGO bricks. While the designs of his weapons appear to be dead on to me (not being a real gun person, I cannot verify beyond toy guns, video games or movies), they are working, interactive models. With working slides, removable magazines, switchable safeties, and pullable triggers, they make the most realistic guns possible with LEGO parts. While each of them appear to work the only one that actually shoots is the MAC-11, which is a working rubber band gun. The directions in the book are clear and concise. Just like store bought LEGO models, the instructions tell the reader exactly which pieces are required for each step, and where to place them using computer generated diagrams. The book has the feel of real LEGO building instructions and each chapter begins with a complete list of necessary parts, so the reader is prepared before embarking on the builds. I was unable to build the models from the book to test them out, since I did not have many of the necessary parts on hand to build with. For those who don’t normally keep large stocks of LEGO, Boen does sell the different models as kits on his website, so the reader doesn’t need to hunt them down on websites and LEGO stores in order to build the different models. 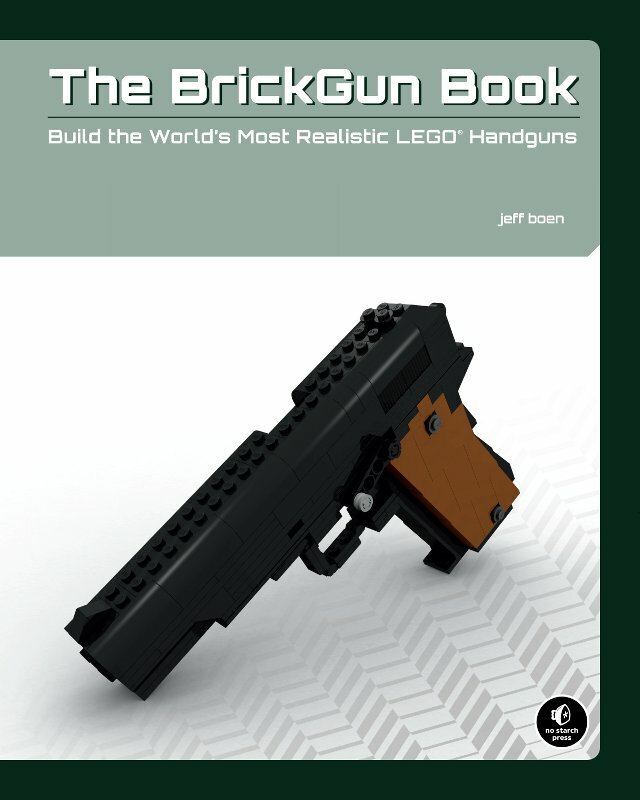 Like its predecessor, The BrickGun Book is a great resource for learning to build from and building realistic models based on real world objects. It gives good information and even if the builder isn’t a gun enthusiast, it is a good resource for learning to build interactive sculptures out of LEGO.